David Yona Bekker was the youngest son of Raiza Shoshana Meletz and Avraham Menachem Mendel Bekker. Menachem Mendel, born in 1855, was the son of Dov and Shayna Zlata from Vilkomer, Lithuania. Raizeh, daughter of Moshe and Hodes Meletz, gave birth to ten children. The Bekker family was very active in Zionistic endeavors in Vilna. He was a gabbai in the Mahler-Painters Guild shul in Vilna, located on Jews Street, next to the cloister of the Vilna Gaon. The Bekker Family made significant contributions to the Zionist endeavor during the period of the Second Aliya and in the later development of the State of Israel. The children of the couple were: Moshe, an agriculturist and early settler of Rishon L'Ziyon, who married Bayla Kravitz. Nissan was ordained to the Rabbinate in Vilna at age 17, but died of tuberculosis at age 20. The four sisters were active members in the Zionist endeavor in their own right: Kayla, married Yisrael Giladi, who was among the founders of the Hashomer Guard organization. Rivka married Akiva Rabinovitz. They were significant activitists in Poalei Zion. Zippora, married Alexander Zaid, the famous guard. Both were founders of the Hashomer. There is a well-known statue of Alexander Zaid on his horse overlooking the Yizrael Valley. Esther, who was a graduate of the first nursing class in Haddasah Hospital, married Meir Kozlovsky. They were also members of the Hashomer organization. Perla died at the age of five months, shortly after the death of Nissan. David Yona and his twin sister Kreina Shayna, who did not survive infancy. 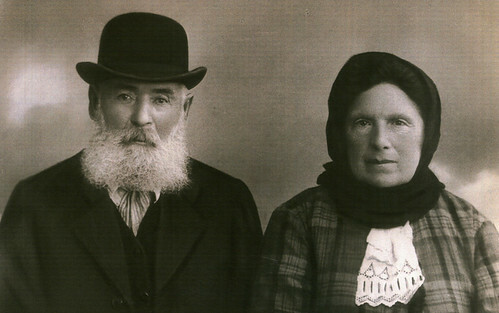 Moshe and Bayla were the first of the family to immigrate to Palestine. They lived in Har Tuv where Moshe managed the Goldberg Farm. Two of the older Bekker sisters, Kayla (Giladi) and Zippora (Zaid), immigrated to Palestine in 1907. In 1910, David's mother Raizeh and sister Rivka also immigrated to Palestine, where Rivka married Akiva Rabinovitz. In 1911, David arrived in Palestine with his father Menachem Mendel and his sister Esther, who was engaged to marry her fiance in Jerusalem. David began his studies in the newly established Bezalel Academy of Art where he studied under Boris Schatz and Abel Pann. In March 1914, to the great dismay of her family, Esther's fiance broke off the engagement and married another woman. In an impetuous act, by accident or design, David wounded the former fiance, who fortunately recovered. As a result, David fled Palestine, only returning for a short period around 1919-20. He subsequently began a long journey, eventually arriving in America. He never again saw his family. Avraham Menachem Mendel brought with him his talent and craft as a specialty house painter of murals and stencils. This was a tradition which had begun in synagogues in Europe and was brought to Eretz Yisrael in the 18th-19th century. Such decorations of ornamental stencils were created for public buildings and for homes of wealthy people. The designs included allegories, the Twelve Tribes, fora and fauna of the Bible and landscapes of religious sites in the Holy Land. Special methods were neeed for the high walls and ceilings and special paints were used which would stand the test of time and weather. In 1924, Avraham Menachem Mendel Bekker established a painter's guild co-operative (see photo). He and Shmuel Melnick were contemporary competitors. Bekker was a full-fledged member of the Plitei Russia Synagogue in Jerualem for refugees from Russia. His wife Raizeh was a model of charity and social conscience. She gathered many of the homeless and orphaned children of Jerusalem to her home and provided them with food, love and shelter. These children were called "the children of Raizeh" by the people in the neighborhood. Raizeh also saved money from the family's meager income and sent food and cash to the needy. Menachem Mendel and Raizeh died in 1926 within three months of each other. They were buried in the Mount of Olives Cemetery. Nothing remained of Menachem Mendel's tombstone. Only a portion of Raizeh's tombstone remained undesecrated and was found by Batya (a great-granddaugher) and her husband, Micha Carmon many years after the Six Day War. The two tombstones were restored by their descendents.